ThemeForest - Drone v1.0 - Single Product WordPress Theme - 16348804 | Free eBooks Download - EBOOKEE! Posted on 2016-09-15, by manhneovn. 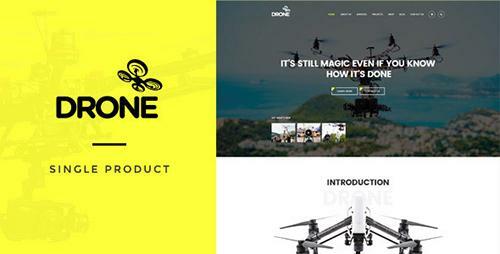 Drone - Single Product Wordpress built with WooCommerce platform comes with 3 amazing pre-built sites. Responsive and Retina are both ready, every single element is designed to have outstanding look and feel in all popular devices: Desktop, Tablet and Mobile. No comments for "ThemeForest - Drone v1.0 - Single Product WordPress Theme - 16348804".